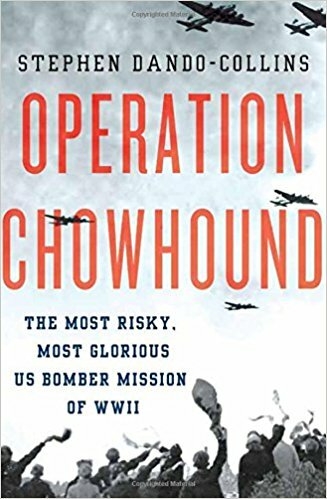 This book tells the inspirational story of Operation Chowhound, the 8th Air Force (and Bomber Command, under Operation Manna) effort to deliver food to the Dutch population who were starving to death in the last days of the war. In early 1945 the Netherlands were still firmly occupied by the Nazis and worse, they had the means to destroy the dikes and flood most of the country if they were forced to retreat. Eisenhower and his chief of staff worked out a deal with the Nazis: Allied bombers, which no longer had targets to speak of in the Reich, would drop food from very low altitude and speed. In exchange, the German flak would not fire at the bombers. In this surreal endtime of the war the truce held and soon food was being "bombed" at pre-agreed upon locations while bombers flew specific "lanes" to reach their "targets." And the flak (for the most part) did not fire on the aircraft, even though they certainly could have caused enormous damage to the bomber fleet. I loved the writing and recommend this for any student of WWII.